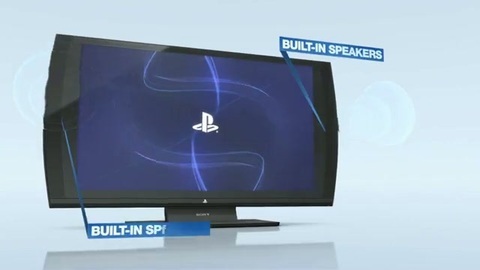 Sony's PlayStation 3D Monitor is now available to buy in the UK. It costs £449. It's designed to allow cheaper access to 3D visuals via the display's 24-inch (1920x1080) screen. The 3D Monitor's SimulView screen allows two players to see completely different images when wearing special 3D glasses, allowing for full-screen multiplayer play. Amazon is out of stock until 26th April, but you can currently buy one from Very. Included in the PlayStation 3D Monitor box is the display itself, two sets of rechargable 3D glasses, copies of Gran Turismo 5 and Killzone 3, plus an HDMI cable. HDMI input is supported for the PS3, while component input exists to support PS2 and PSP play. The screen can also be used for watching regular 3D content and is certainly less wacky than Sony's wearable 3D visor display. UK release details for that have yet to be announced.